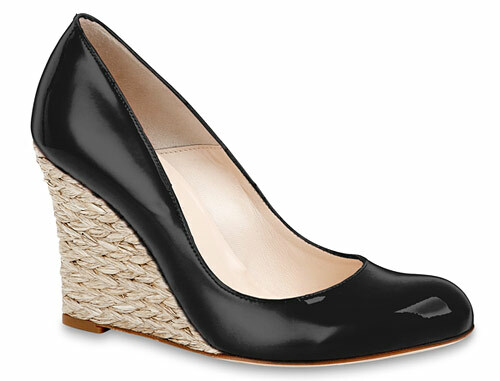 Summer Must Have: Wedge Heels! Not only have designers knocked off the satin and lace gown worn by Kate Middleton, they’ve also looked to the Duchess of Cambridge (and her sister, Pippa) for other fashion trends. Immediately sought after are the black patent wedges the Duchess wore as she was spotted leaving with Prince William for a brief vacation. Do you have a ** Fall** product launch? Click here to contact me if you’d like to collaborate! Copyright © 2017 The Blush Stops Here all rights reserved on art and text. If you choose to use any information described here, you do so at your own risk. If you are the owner of an image used inadvertently and want it removed, please email me and I will do so as soon as possible. - Be respectful and avoid obscene or hateful language. - Do not post any content for commercial purposes. - Don't post the same comment more than once. We are currently not accepting advertising opportunities.